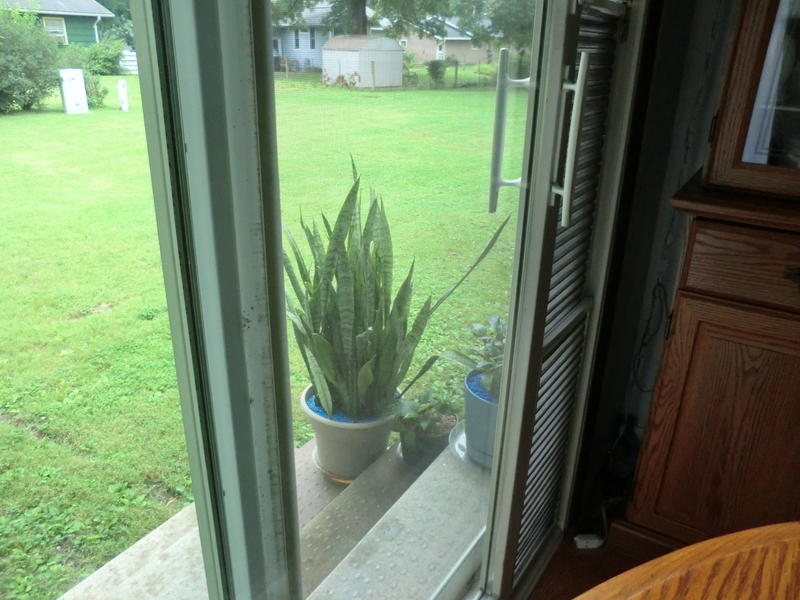 Every year, when there is no danger of frost, I have my husband set out my houseplants. They are rejuvenated over the summer with the warm weather, sun and rain. I keep them on the back steps so I can monitor them. Some plants are too delicate to go outside and you have to be careful or they will get sunburned. I put my plants on the north side. They do not get the intense summer sun through the day. It reaches them late in the afternoon. Houseplants spend the summer on the back steps. You may be surprised at the end of the summer with blooms! 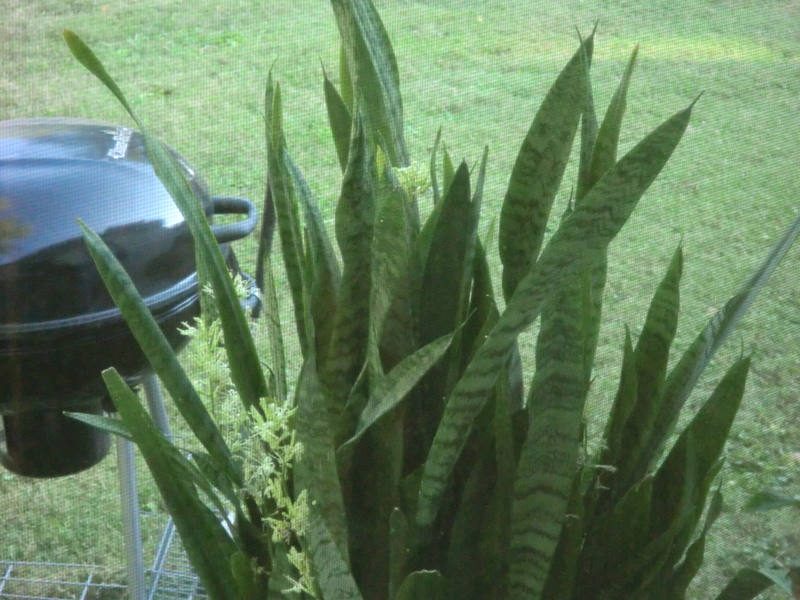 By the end of the summer, this snake plant had bloomed.